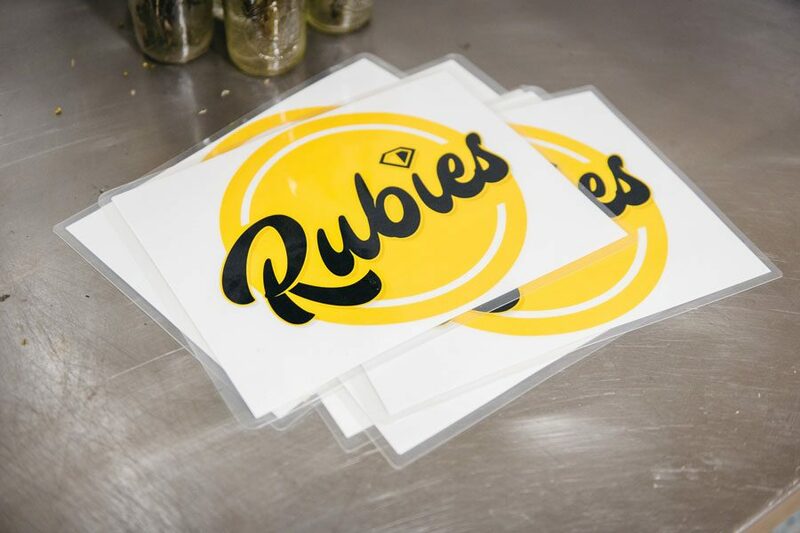 The Rubie’s logo. Aldermen denied a special use permit for the restaurant at a Feb. 12 committee meeting. After aldermen at a Planning and Development committee meeting unanimously denied a special use permit for a new restaurant in the 5th Ward, the property’s lease hopes to appeal the decision and reverse the outcome. Robert Crayton, who applied for a special use permit for his proposed restaurant, Rubie’s, at 1723 Simpson St., said he had to “jump through hoops” to try to get his restaurant and community space approved by the city. Ald. Melissa Wynne (3rd) said at the Feb. 12 meeting that Crayton’s “current pending legal proceedings” meant she could not support the approval of his restaurant. Crayton was charged with five counts of felony unlawful delivery of a controlled substance for allegedly selling heroin to undercover officers in April 2017, according to the Chicago Tribune. Crayton initially applied for a permit to run a carry-out service, which he said would be the primary source of revenue for the business. Crayton said he wants to give back to the children in the 5th Ward and provide them with a “safe haven” where residents can meet for book clubs, after-school reading programs or baby showers. Crayton added that the community has been supportive of his endeavor, with several people telling him to “just keep fighting” when they see him working multiple jobs. Evanston Collective president and founder Bobby Burns said from his extensive experience with City Council — from working as an interim deputy clerk and as a political consultant — he thought Crayton was getting different treatment from the city because of his pending legal proceedings. Burns said he felt it was wrong that Crayton had a difficult time trying to open a business that he believes would create new revenue and new jobs for the city. Burns added that the committee’s decision sends a wrong signal to young men who try to transition back into the community and do something positive. He said he hopes “good old progressive Evanston” can support people like Crayton, who Burns said has shown commitment to being a positive role model. Crayton said it is difficult for him to see any possible next steps because any petition or letter-writing campaign would go to the city.